First and foremost, I would like to clarify that cupcakes are on the top of list of things, which make me happy no matter how bad of a day I had. Only avocados and watermelon beat my love for cupcakes. Hence, me dedicating an entire blog post to cupcakes is totally normal, when you get to know me. So while strolling through picturesque Georgetown for the first time, I could do nothing else but run into ‘Georgetown Cupcake’. Seeing all those delicious cupcakes stacked up on cute étagères, it was impossible to listen to reason and I just simply bought two. I bought two cupcakes and ate them both right after the other. No regrets. Well, maybe some regrets towards my blood sugar level. I will gladly share the perfection with you; only in form of a picture though. Experiencing a city spontaneously without a plan is the best way of exploring its greatest treasures. 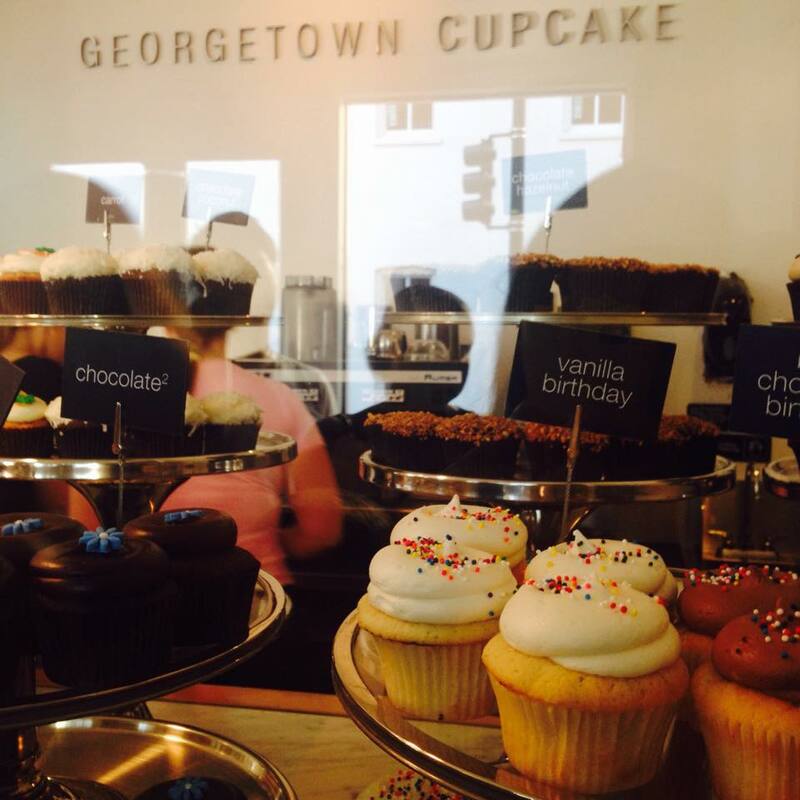 In the case of DC: ‘Georgetown Cupcake’. But sometimes a little bit of local help and experience can make a stay in a foreign city unforgettable. So, thank you, to every local, who persistently told me that I should visit ‘Baked & Wired’ instead of ‘Georgetown Cupcakes’. You did not disappoint. 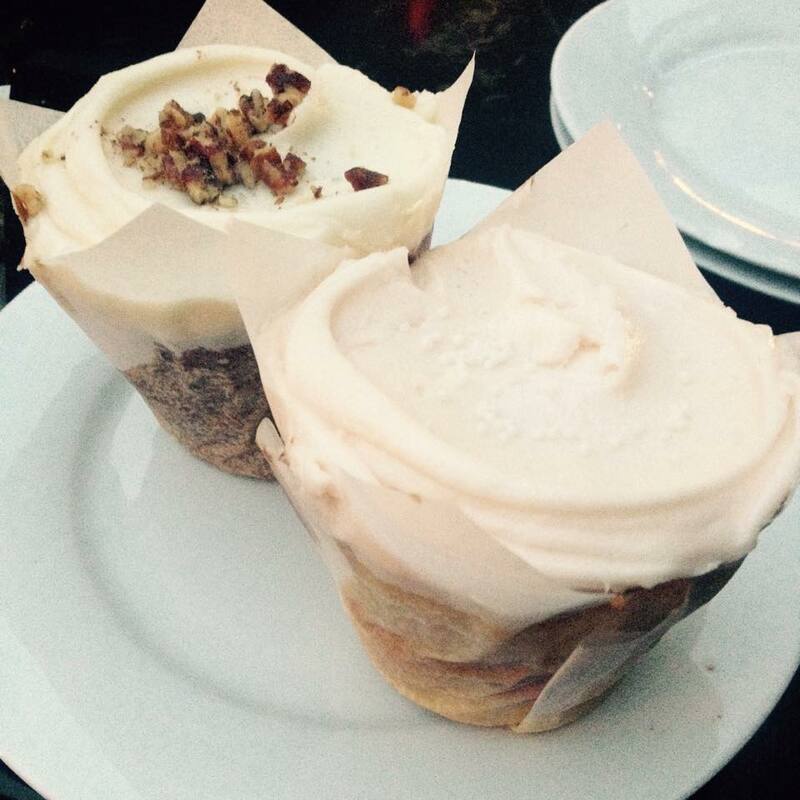 I love carrot cake and I love cupcakes. To find the fusion of these two in the form of a way bigger cupcake than the one sold at the store mentioned previously made my day full of exhausting readings not only bearable, but also actually fantastic. As you noticed before, the top 3 things on the list of stuff making me happy are some kind of food. So a cupcake can definitely save my day. And, by the way, I had two again. This might become a thing: Me just always casually ordering double. But hey, I am just trying to integrate into American consumer society. Although, my blood sugar might rebel at one point. I am definitely challenging it at the moment. Of course, I won’t make this whole article about me visiting two cupcake places. I am not that shallow. Maybe you have already noticed that I like to use metaphors, comparisons and analogies. It is somehow my thing and I like to believe that I am actually good at it. So let’s try this stretch: ‘Georgetown Cupcake’ represents my adventurous, independent and curious side. I love to just stroll around DC and explore new places by myself. Without any former opinion. Without any prejudices. I like to experience it myself without being bound to the borders of someone else’s mindset. On the other hand, locals do know the city’s best places sometimes. Places, which you normally maybe would never pass by. A perfect example of that is the Ethiopian food at ‘Zenebech Injera’ close to U Street. Although, I love Ethiopian food, I would have overlooked that place probably. But thanks to my American friend Meg, whom I will refer to as M from this point onwards, I had one of the best nights with lovely Injera. Another example is ‘Baked & Wired’. Hidden in a side road of M Street, I wouldn’t have seen it. I will get to know DC in the combination of these two modes of exploration: Going out without any plan and just be lucky in finding the right spots as well as enjoying the comfort of being guided by trusted locals, who know exactly what is worth to go to. Next stop: ‘Maketto’ on H Street.